Vindication is a complicated thing. On the one hand, it feels good to have your hunches borne out by others. On the other, it’s a bad thing when those hunches mean that the wines that so many people invested both money and emotion in turn out to be far less than they were initially led to believe. I’m talking here about 2003 Bordeaux, wines from that famously hot year that thrilled so many critics in the beginning and that have not managed, in general, to stand the proverbial test of time. Personally, I’ve never been a fan of these fruit-forward bottlings. 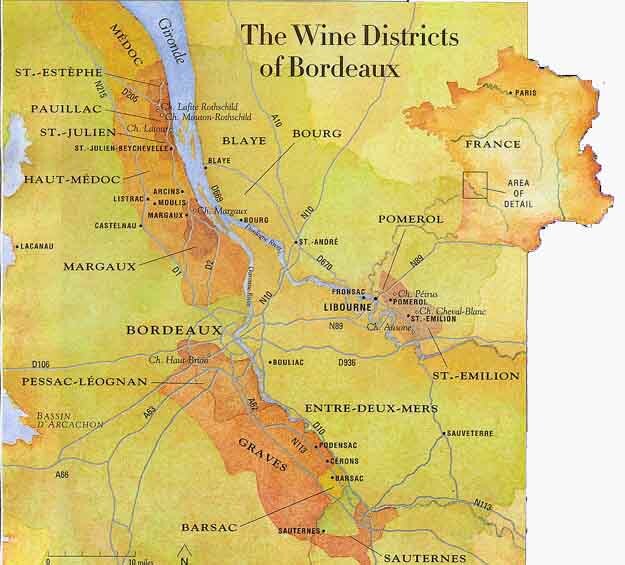 The Bordeaux I tend to gravitate toward express their terroir above all else, and while you certainly need a solid core of fruit to make a young wine as enjoyable as possible, few things thrill quite as much as a whiff of warm clay or a fleeting note of minerality in these wines. Now, in a fascinating and revealing column for The Financial Times, Jancis Robinson reports on a recent tasting of 2003s, and the results were not great. Aside from a few standouts, she was not terribly impressed with the rapidity of the wines’ evolutions. “My advice for the great majority of 2003 bordeaux is to drink them before the fruit recedes altogether,” she notes. Personally, I’ve always gained far more pleasure from vintages like 2004, whose more classic (some might say austere) profile tends to make for wines that are easier to enjoy with food, and whose generally more reasonable alcohol levels mean that you can drink more than a single glass without needing to rehydrate. Like all things vinous, it's a matter of taste. But it seems beyond question that these 2003s, in general, are destined for rather disappointingly short lives in the cellar.